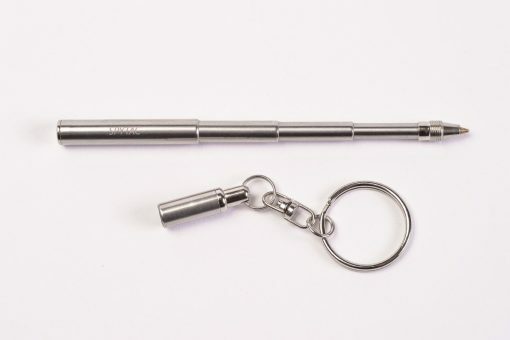 Attaches easily to your keyring or backpack so you’ll always have it handy… you’ll never have to claw through your bag or rummage around your center console for anything to write with when crucial information presents itself. 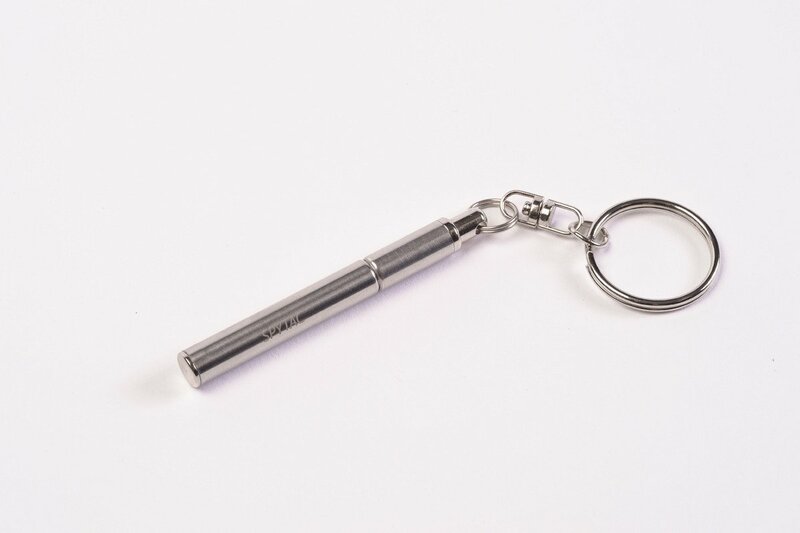 The threaded top cap keeps your Spy Scribe held firmly in place so it won’t fall out when it’s knocked around on your keychain. It’s built from rugged stainless steel construction so it can take a beating on your keychain and still work flawlessly. The Spy Scribe comes equipped with black ink so you can write on virtually any color paper or surface and it will still be legible. (Plus, many government documents require you to fill them out in black ink to be “official.” Should that need arise, you’re covered). Ultra-lightweight, coming in at well under an ounce so it won’t add annoying bulk to your keychain. In fact, you’ll hardly even know it’s there – until you need it.Gives you plenty of room to grip the handle so you can write comfortably. 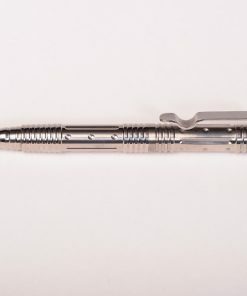 The barrel of the Spy Scribe measures four and a half inches long when fully extended – nearly the length of a full size pen.